After over 20 years of renting office space in various cool abodes, Simon+Kabuki has flown the coop. We rarely have clients visit us anymore so it made sense to take the plunge and move our offices to our homes now. It saves us quite a bit – no more rent, liability insurance, internet, phone system, etc. Erin and I both live in the same neighborhood and carpooled to work, so getting together to go over projects weekly is pretty easy. 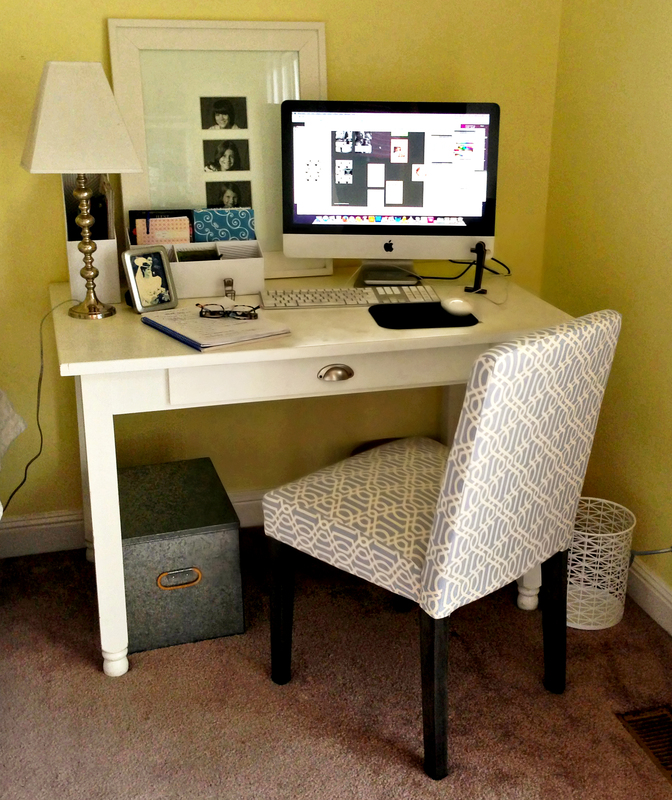 I wish I had a separate space for my home office but I think I have another year or two before that happens. In the meantime, I’ve set up a nice little office space in my bedroom. At first I searched the house for other little niches but in the end chose my bedroom. I don’t know about you but if you have kids there always seems to be a pile on the table or shoes near the door or dirty clothes on the floor. That is why in the end I chose my room. As I sit here typing the birds are chirping away outside and the fountain is gurgling (and my dogs are occasionally barking and farting, nothing is perfect!). Quite pleasant for the most part! I think I may actually get more work done! 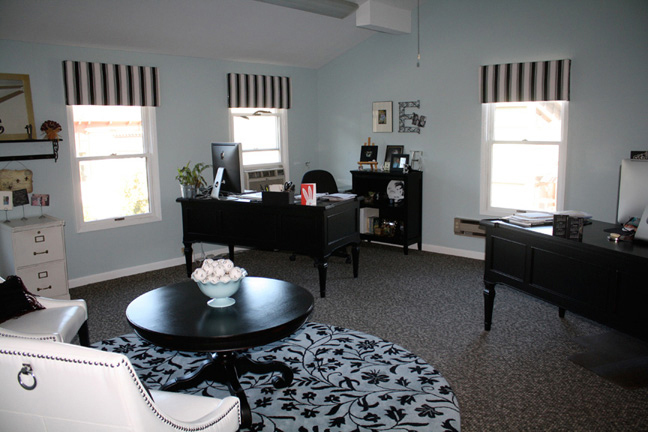 Take a look at the history of our office spaces. 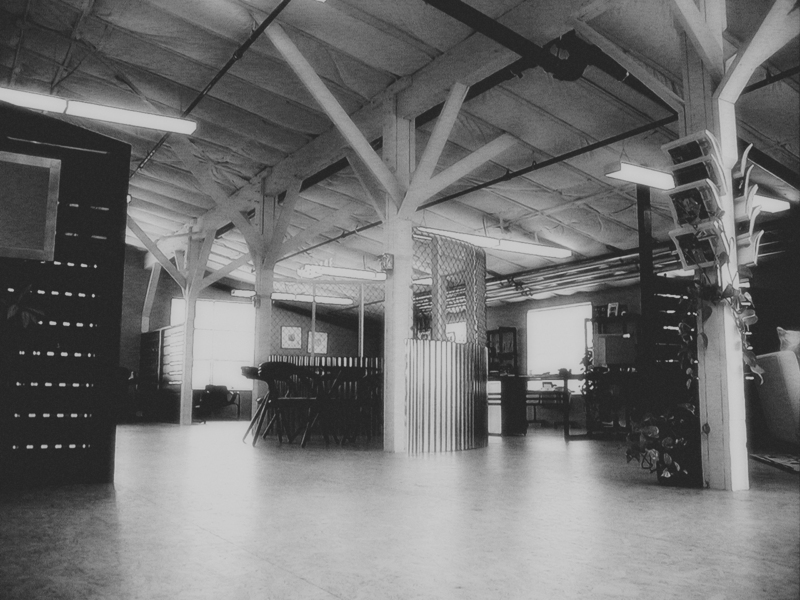 Our first office – a cool loft space we designed in Santa Clara. 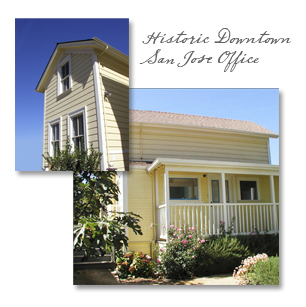 So cool having our own historic building! 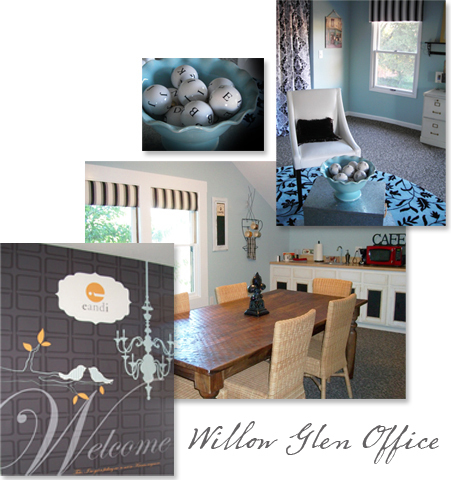 Our last office space in Willow Glen. Nice space! Lock the dogs out! Your work-space should be a no-farting zone. That seems reasonable! But then I’d have a going through the kitchen trash zone from the same farty dog! Better to keep a watchful eye on him, he’s sneaky. Enjoy your beautiful new space and I wish Simon and Kabuki continued success. Your new place looks comfy and cosy. Each if your locations were very original and tasteful and right for their time. Thanks! It was pretty fun going down memory lane.